I haven't posted in a few days, so I thought I would post something fun + polka dot inspired. Here's a little palette board, or I guess a pattern board. 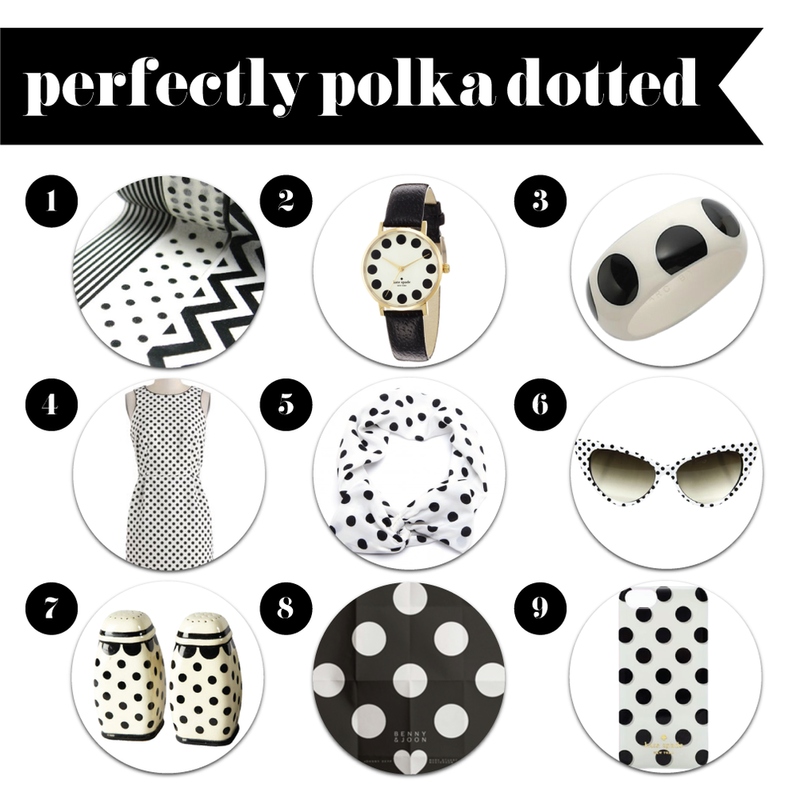 So many polka dots, so little time! Ah! I love polka dots in all colours, but I thought I would stick with a classic + simple black and white theme for this post. I have an interview this evening, so I'm feeling a little nervous + anxious. I'm just trying to relax + prepare, so the search for polka dotted goodies was a treat.